A DAY OF FUN WITH THE FAMILY OR FRIENDS ! 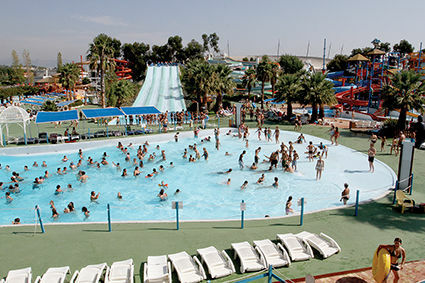 Aquasplash is 20,000 m2 with more than 2000 metres of slides making it one of the largest water parks on the French Riviera. 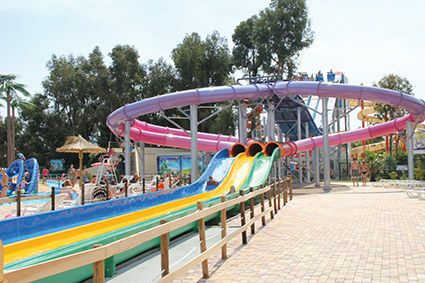 The amazing slides, lagoon and wave pool made it famous and continue to make a splash each year. Speed, acceleration, thrills and chills!!! Adults and teens will find everything they expect in a water park: Space Boat, Side Winder, Black Canon, Turbolance... And children can safely discover water fun on the Lazy River, Kid’s Pool or Pirates’ Island !